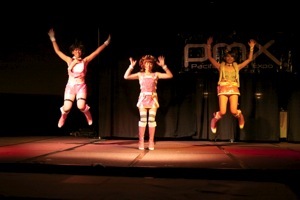 I hope to be in a well enough shape to record our inevitable PMX wrap-up podcast episode this weekend. And I’ve started finally ingesting the video and photos we took while at the show, and hope to have those posted over the next week or so as well. But in the meantime, I’ve started gathering up other peoples’ PMX-related postings, in particular photos and videos, and present them here for your enjoyment.